I read this article and found it very interesting, thought it might be something for you. The article is called Organize Your Business and Create Space with Jessica Nowell Soar Above Success #9 and is located at https://wpsoar.com/delete342423234. 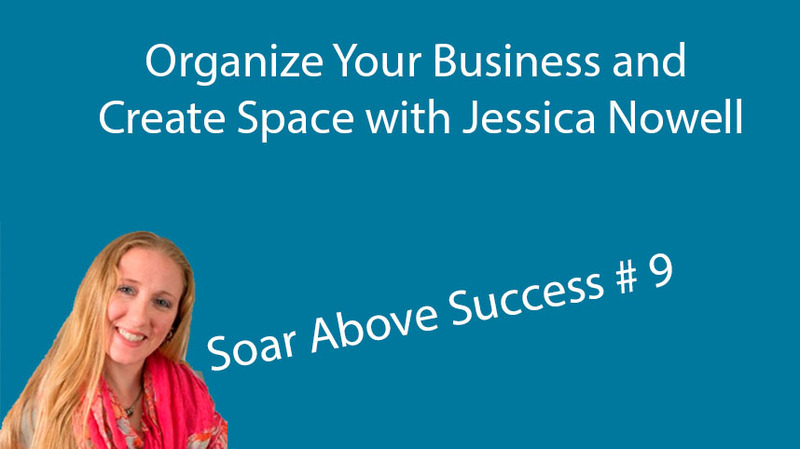 Soar Above Success # 9: In this episode Jessica Nowell teaches us about the importance of organization and creating space within a business. Learn quick things to implement today so that you can organize your space, increase productivity, and clear your head. How to keep your business organized. Increase your business’s productivity by staying organized. Why stacking things the right way will save you time. The necessary process of staying and keeping yourself organized. Why it’s so hard to detach emotionally from objects and how to detach. How to appropriately name files so you don’t lose them. Why digitizing your life is the most important thing you can do to streamline organization. How organizing is a metaphor for a better life. Why having a virtual assistant is important. Yury: Hello and welcome to the Soar Above Success Podcast, my name is Yury I am your host, and today we have Jessica Nowell, professional organizer. Jessica is fiercely committed to guiding busy, active, overwhelmed families toward a life with more clarity, authority and free time in their lives to do what they love. Ultimately, she loves helping to open the doors for each family member to start realizing their greater purpose. If you are looking for a proven professional who can guide you to address overwhelm, lack of control and wasted hours, you have come to the right place. With 5 years of experience working with amazing clients with similar worries and concerns and guiding them to achieve remarkable success, her mission and commitment is to help regain time, order, and purpose in both home and business life while ensuring positive, lasting changes that can be instituted and maintained long after she is gone. Please welcome Jessica Nowell, thank you so much for being here Jessica. It’s a pleasure to have you on the Soar Above Success Podcast. Jessica: Thanks Yury, it’s so good to be here. I am so happy to be a part of this and be able to share a little bit of knowledge with everybody and see if I can help change the world a little bit at a time. Yury: Awesome Jessica. What we do is chip away a little bit at what we do best on a daily basis. Jessica, I understand you’re an Organizational Ninja, what does that entail and why did you get into that? Jessica: An organizational Ninja is someone who takes organization to the next level right. A lot of people can be organized mentally, they can be organized with their physical stuff. I look at it as more whole life organization. We are really talking about how do we organize our time, all the stuff that we have, the priorities that we have, and putting those all in place on top of each other so our whole life runs a little more smoothly. That we get the opportunity to really chase after those passions and purposes were really here for. Yury: So organization not just with your personal life, but your business life as well, and all aspects of organization in general. Why would I care about being organized? My desk and my areas are just a explosion of creative thoughts and ideas. I have post-it-notes everywhere, paper everywhere. Why would I care about organization? what will it do for me? Jessica: Organization is one of those things that can help create more time and space for that creativity. A lot of us get so caught up. Most people I read a bunch of studies. Executives lose 8 weeks a year. We are wasting so much time because we think were organized, or that we know where things are, but if we have systems and processes in place to help guide us through the day to day stuff. Whether if it’s morning or evening, weather if it is simplifying life, so you are always taking the same route so you have less decisions to make. I don’t know if you noticed but the average adult makes 35,000 decisions every single day. We have systems and processes in place to make some of those decisions go smoother/more automatic. Life is easier, you have more time to do the things you really enjoy doing or getting stuck in all those mundane things. Yury: I definitely spend a lot of time searching for documents that I have misplaced, especially the legal stuff, you receive it from wherever it came from and put it down somewhere, or a file, and don’t really think about it, then 6 months later you need to find that document again. Either your accountant is requesting it. Or tax purposes really urgently, and now you’re spending your days throwing things around trying to find everything. That is one of the areas you seek to solve, to make sure you know where everything is for business, and life. You don’t need to spend those 6 weeks looking for where you put anything. I am not an organization expert that is not my forte; I never even considered organization as something important in my life. What was that moment that got you into organization? What sparked that for you? Jessica: For me, my parents got divorced when I was 2 years old. We were constantly being tossed back and forth between multiple households. Both parents moved a lot. Organization was the one way I was able to control a small portion of my life. If I was given a little bit of space, everything had to be put in the right place. It was my way to control a little part of my chaotic life. In my adult life, it was something that was very natural for me to do. I had no purpose or job, but I was always going in and finding ways to make the systems and processes work better faster easier for everyone to understand. I recognized that pattern, so my business fell into my lap almost 2 years ago now. I had somewhere along the lines dubbed myself a Organizational Ninja. I thought this is something that I can really help people with and make a difference. Yury: That is really awesome that you have that personal relationship, the only piece of consistently in your life was the fact you were able to keep everything ordered and organized. 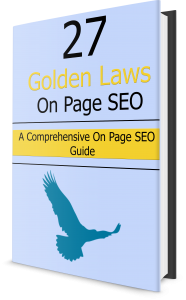 So you develop these processes and procedures for people and businesses to keep their life organized. What is an example of these processes? How do you develop it? Is it a cookie cutter process for everybody, or it is really personal? Does each person have their own process that you associate with their lives? Jessica: That is a great question. The way that I personally work is this very individualized based on whom I am working with. There are some general themes that we work through together. For time management and priorities I have a whole system that I developed that I take through step by step. Ultimately when it comes to setting up this person for his or her life, it really needs to be geared towards each individual. We all learn, think, and interact differently. We need to incorporate those different styles into the tools and systems and processes that were using. We all have day planners, but somebody else created that day planner. So we have these tools that we buy that will not necessarily work for us, because they are created for someone else. How do we pull those pieces from all those things we sort of use and that sort of work to make one system that works really great for us as an individual. At least 3 is better then 20, I am narrowing it down. Is that sort of the same approach you take? You take bits and pieces that worked for someone else and personalizing it to that individual? Jessica: That is right on target Yury, for what I do. We have really in depth conversations of those same sort of things that works for them, what hasn’t worked. How do we pull what has worked in the past to create something new, with multiple parts that have worked and letting go of the things that are not being used. Or did not actually produce the result that they wanted. Yury: There are some key areas that you focus on, and one of those is time management. What other key areas do you focus on besides time management? Are we talking about getting rid of clutter, removing hoarding, papers, unnecessary files? Besides time management what else are you doing? Jessica: I actually work with clients on a broad range spectrum. I personally moved over 30 times in my life. I do a lot of packing and unpacking for clients. I have honed that very well.. In that process we do a lot of de-cluttering. I think one of the biggest things about de-cluttering is that we understand how we got in that position and how do we keep it from happening again? Why are we holding onto these things? How do we work to let things go? Without necessarily feeling bad about it. Without feeling hurt, or distraught about letting our things go. We work through that on a mental and emotional level while we are working with the physical stuff. We also set up systems for choose with families. How do we set up responsibility and accountability in a household. Whether it’s family, roommates, in the office, who is responsible for these things? How do we set up expectations around how things are supposed to be done. What is the end result supposed to look like, and what do we do if we don’t get there? It’s really broad range of things that I do. From simple let’s pack up your house before or after a move, to full life let’s learn to better communicate with each other, how do we set the standards to what is clean and organized in a house, how do we maintain that, and everything in between. Yury: Having a personal connection with an item or an object in the world is a very interesting concept. We don’t always look at this letter, or project, or whatever it is we find sitting on our desk. I guess in the sense of a project a mind map., or flowchart we printed out and we have a big personal attachment to is. How do you manage dealing with personal attachments on physical objects. This is an emotional component in the physical realm. If somebody is having an emotional reaction to something you are de-cluttering, removing, or moving, how do you manage that? Jessica: One of the things I do, I make all of my clients touch everything. Whether it’s a piece of paper to big furniture. I really have 3 reasons why you should seek anything. Paper, physical things, people, they need to bring joy into your life, so it needs to make it better happy excitement all of those happy emotions. It needs to invert your life in some way. Whether it makes it easier, better, faster, you’re learning something from it. The last one is it has specific and immediate needs or purpose. Not I am keeping this because I may use it in 6 months. It has to have I am going to use this cake pan this for my son with this cake pan. We have to have specific purposes otherwise we end up with a lot of stuff that we think maybe I’ll reuse it. A lot of people keep clothing, or ribbons. For decorating purposes, but then they just tighten the bag and purchase more down the line instead of reusing what they already have. How do we consolidation that? Then the emotional level. We set those standards in place and get them to agree with that first. That is the emotional part of it and we have to work with why are you holding onto this? What is the connection you have with it? Is it because of a person, an event, how can we potentially hold onto the memory without necessarily holding onto the physical item? Yury: This doesn’t necessary need to be objects. It sounds like what you’re discussing is objects that have little to no utility whatsoever. A business car, or a wire that I have not used in 10 years, that is just sitting in my box because maybe one day I’ll need this outdated charger for this router that I used to own that no longer serves any purpose because it does not have the right frequency to begin with. Is that what you’re referring to when we are talking about getting rid of objects that have high emotional value. Things that don’t have a lot of tangible use. Jessica: It is for both, it can be the those things that have been sitting, and you probably don’t even have the router anymore but you have the cord. SO helping people guide though that decision of yes its ok to let go of these things. Or how do we let go of them properly in a way that will feel good to you. Yury: Doing that it allows that space to open up in our minds. We have more space in our homes, more personal and physical space. That I imagine will allow us to think less about maybe these objects we walk into and see it and it brings that memory back. We look at something and it elicits a certain emotional response. By removing those objects it allows us to have that creative space available for other things to pile on top of it instead of those existing emotional relationships. Maybe the goal is to create new emotional relationships to things that have more utility. That is not sitting around collecting dust. We all have those items in our lives that have absolutely no use. I have no ideas why we keep them anymore, certain things that I keep. Jessica: I think one of the things that I like to put forth as an organization is I am not here to make you get rid of things. It is absolutely okay to hold onto things just because of the emotional connection. If you have something that you literally stare at once a month, but it brings you a lot of joy. It’s okay; keep it, especially if you have the place to keep it. It is finding that harmony amongst those things with the attachment that you have to them. So that it is not everything you own that you are completely attached to for some no thought reason. I am attached to that but I don’t really know why type of thing. Really understanding those connections is part of the process to. Yury: I can see how containers, empty bottles, things that are not necessary anymore to remove them and get them out of the space especially if they are starting to take up more of your personal space you just don’t need them anymore, get rid of them. Certain people will have difficulty removing those obstacles; I imagine this reflects heavily in business in well. When companies will keep documents from 1997 about that CD-ROMs that they received on how to install Microsoft outlook, or whatever that product is. They have these instruction manuals in stacks of them in the office. From that standpoint what is the experience you have had to remove and de-clutter an office environment. Jessica: There are two major things to keep in mind with that. A normal file cabinet will hold 18,000 sheets of paper, and we don’t ever look at 80% of the things that we file. You are talking almost 12,000 sheets of paper if you have one filing cabinet in your office that you’re never going to look at. I try to start with talking to their accountant as a businessperson. What do you actually need them to keep; because one of the toughest things for people is they are so afraid that the tax book repercussions that they just keep everything because they don’t know what to keep. I have my tax person, but I try to work with their tax person as a business. What documents do they need to keep in case something happens, what would they need. We start there, and then I would say for those manuals types of things, if you have not looked at it in 6 years, it can probably go away. That is the same in the house and businesses. We all hold onto these warranties and manuals. Half of the warranties done even exist anymore, they ran their course. You have not looked at that manual since you bought that piece of equipment. Let it go, you can find most of that stuff online. That is one of the greatest things I find now, you can find it online you don’t need it. It’s all digital is another thing. Scanning in documents and letting go of that act all paper. If I have to have paper I would totally get rid of it all. Yury: What is a good method for that. Are we using our cell phones to take pictures of these documents, are you using a scanner, how do I start with that? Jessica: I highly encourage if you can have a scanner in the house, it is very important, we have so many things especially for small business owners, scanning in receipts, and maintaining documents. There is genuinely a lot of paper that we deal with if you have not gotten all your paper online. If you can get a scanner in the house, it will change your life. The phone works great too. Whatever you can do to minimize that paperwork. Your life will change significantly. Go paperless on as many of your credit card and bank statements that you can, you don’t need those coming to the house. You can look them up online and check them that way. If you need the actual physical paper, shred it, get it out of the house after you look at it, you don’t need those documents going forward. Yury: You bring up an interesting point, what about digital clutter. I know a lot of people in this day and age, when we have more storage available to us. A terabyte does not cost as much as it used to 5 years ago, every year that storage space is expanding. First of all how do we manage our digital assets, and how do we de-clutter those digital assets for a business. Jessica: Digital is definitely becoming the monster of the something. It’s one of those things that is super scary but when the lights go out we try not to think about it. Its really one of those things you need to take in small bites. I say this for about everything I do, small incremental changes. If you have never heard of the compound effect by Devin harry. You really need to get it. It’s all about how we make tiny changes to our life so when we turn around 2 years from now we don’t even recognize the person we were because the changes are so significant. That is the best way to get started with your digital stuff. Start now, making changes to how you organize stuff, what you’re keeping, what you’re not keeping. There are great tools and systems out there, especially on email. Enroll.me, one of the greatest tools I ever found. It allows you to unsubscribe to all that annoying email stuff. It also gives you this thing called a roll up. It allows those subscriptions to go all over to one email. You get one email a day with anywhere between 5-30 however many subscriptions you have going on. You can scroll through, and go didn’t want to see any of those but I did want to see that one. You can click on it and open that specific email. Very helpful going forward, unfortunately it does not do anything for going backward in your email box. If you have anywhere from 15,000 email, start with today and work one day back every single day. Its small bites that will make a difference. Yury: I am that person with 55,000 unread emails in my inbox. I don’t know if I know anyone else who has maxed out there email account and had to open another one. I no longer use that email because it has been spammed to hell. There is no point to open it up. I swear every time I open it up my phone explodes and I need to get a new phone. It gives me anxiety just looking at it. It’s my junk email now; I just throw all my subscriptions and email marketing junk into that email. Anything important I have a new email that is shiny and clean, and does not have any of that spam associated with it. Is that a viable method, kick it. Forget the old stuff, start fresh start with a new one and get on enroll.me as well. Jessica: I love that you have one for subscriptions and everything like that. That is super important. Maybe you check that subscription email once a week. If it does not have 55,000 spams of emails in there. If you are that deep and you know there is nothing violently infringed? Yes. Trash it. Cut your losses, totally just move on with the next thing. I think you’re probably one of the only people I ever met that has that many emails. Hopefully people are not as deep as you. I say if you have less than 20,000 emails it will take you a few weeks, but you can get there. Try and move forward and then maybe you do leave that as your subscription email and start fresh. Yury: That is one of those things and again this is something that I work on, on a daily basis as well. Trying to make sure I am not subscribing to everything under the sun. There is a lot of interesting stuff on the web, let’s face it. Email marketing is getting more popular and pervasive on the web. There is a lot of information available for anyone who wants to start his or her own online business. That has been my go to, use one email for subscription, and the other for any personal one on one communication. Have you encountered a lot of digital clutter so far? Or is it more of the physical realm where you go in and move physical objects. Yury: what is an example of somebody you helped organize their physical clutter, and getting that organized for them. What is an example of someone you worked with? Maybe, a horror story, someone who had a big attachment to something and you helped them get past that. Jessica: I have a whole range of clients, one of the few things I love the most with my business is that I have worked with people who are gym owners to a client who has 3 different houses. She is one of my favorite clients, we have a lot of work to do and we know this will not be done tomorrow. There is a lot of personal growth that is habit changing. One of her goals is to be able to move in 5 years. It is a regular conversation about your not going to have 3 houses in 5 years so how do we start to minimize the amount you have now, so when you get to that point you don’t needs to start the whole process over again. We have gotten rid of _____ coming up next week and we have over 15,000 different to put up for sale, there is a lot of stuff. One of the things we regularly fight on that I cannot get her to get rid of is she has bundles and bundles of jeans. Old jeans, that she wants to sew into quilts, she has been collecting them for years. She probably will not be able to do it for another 10. She has the space, so I am letting her keep them since we argue about it all the time. It is one of those funny things, the attachment. Yury: You never know when you need an extra pair of jeans jess. IT’s one of those things you go out on Saturday night and you need to wear 3 pairs. You can take two off throughout the night. I wonder what the quilt will look like when she puts it all together. When you’re dealing with these types of situations, what is the result, even though this is an ongoing relationship, what are people’s reactions to de-cluttering and how does that help with the time management. Jessica: One of the things I can say is clear across the board with all of my clients. Is how excited they are with the results? Many of my clients continue the de-clutter process long after a project is done. They are so excited to tell me about what they get rid of, and how they can create a whole space for guests can use now. It is really exciting to see all of the extra space you are able to create both physically and their heart to start working with nutritionists and personal trainers after we are done working because they have more time in their life to care about themselves more. It is very powerful to see what doors will open up next for the client. Yury: The organization is almost a metaphor to a greater life; it is not just organizing a physical space, but the internal aspects as well. You will want to improve your mindset, life, if you’re a smoker maybe you will want to quit smoking, start to exercise lose the weight. You are making improvements here you might as well continue to make improvements across the board to increase the quality of your life. Is that the result you are seeing with the organization? Jessica: My business is called Time Order Organizing. Was the biggest part, my clients are finding more time to go back to school, to live a healthier life, to embrace their current relationships more and discover what their passions are. Doe they like Horseback riding, do they like writing, are they going to write a book and change their life. I have this whole way I will make change in the world. Yury: Give us one piece of advice give us something small. Let’s say I have a messy desk, what is something I can start to do. A procedure I can put in place and start activating every day so I can become a better person on a small scale. Jessica: The biggest tip I can ever give anyone is to stop pulling horizontally, start pulling vertically. You only have so much space when you pile vertically and your desk will eventually end. When you pile vertically you can only have so much stuff. IF you pile horizontally those are the times. When you pile vertically you have to be more specific around the things you are holding onto. Whether or not you’re actually conscious about it or not. You realize you only have so much space. One thing you can train yourself to do is instead of laying things flat, stand them up. It will change the way you look at your stuff, and you will find your documents easier because you can finger through them verses picking up a stack and sorting thought each paper. That is the easiest thing everyone can start doing. If you want to take that a step further, really start to prioritize. Unfortunately a lot of us have a business work life, play, all of it goes into the same pile. If you have different corners of your desk, this is home, this is business, and this is play, don’t forget the play- we all need fun in our lives. That is one of the things I love about organization, is it creates that time. If you can start separating out those things a little bit more, then it will be easier. Ok, I know I needed a ____ that will be on the family home side. It may not save you that much time, but if you save 1–2 minutes every time you’re looking for a piece of paper. Maybe that 6 weeks becomes 5. Yury: I am going to go back to the digital realm of things; can we do this with naming documents? Naming and putting things in the right folders on our hard dice this is also a key piece as well. Jessica: absolutely. What I suggest for that is to make your documents, as someone you don’t know needs to find it. Don’t name it for your own brand, because there will be times when you’re away and you need someone to help you find something. Or if you hire a virtual assistant, if you start to name things now very specific and clear so someone else can find them, it will save you a lot of time in the long run. Yury: that is an interesting piece. I always name things for me and me only; they are on my hard drive. When I am trying to find something I always think what did I call that, I called it something.jpg. That is an interesting way to do it, naming with the purpose that someone else will look at it so you can always ensure you will find it and put it in the right buckets so everyone will know it’s pretty transparent and obvious where all your documents live. That goes from your computer to everything you are organizing in your daily life. That is an interesting way to approach things, do it not for you, but for someone else trying to find that information. Anyone will be able to find it, I really like that approach. That is an interesting way to look at it. Instead of stacking papers this way stack the this way. What is another thing you can give us to get more organized in our daily life. Maybe not papers, but is there a better way to organize your workspace that allows your brain to have more creative ability. Jessica: With workspaces the best thing you can do is have them as clear as possible. If you don’t have tiles, let’s say you only use your stapler once a month; find a drawer to put it in. How often do you use it? Yury: Never maybe once a decade. Jessica: Keeping only the things we use on a regular and consistent basis at hand will be the best for your workspace. Other wise you’re constantly moving, shifting things around, trying to make space for that next work space. Or you need a new place for project 1 whale you start project 2. If we can minimize the amount of space on our workspace to only the things we need on a regular consistent basis. This makes the flow a lot easier. One of the most powerful tools that I have, my client’s work on is something I call everything you do. It is literally taking, sometimes up to 2 hours, to brainstorm, on a piece of paper write everything you’re responsible for, your involved in, the activities you take part in, the networking groups, every piece of your business and writing them down. So often we have no idea how much time we actually should be taking. One of the biggest problem is we write these huge to do list and expect to get 30 things done in the day. There is only 168 hours of every week. We generally schedule 200-220 hours a week of things we want to do. We need to be more realistic about the things we are doing and the things we want to accomplish. Yury: Being unrealistic is a bad problem for almost everyone I run into. Every business owner encounters this at one time or another and he or she end up over committing. What happen when you over commit to something are those things you don’t have time for go to the waste side. If it was a client meeting, phone call, making sure a project was done at a certain time, what happens is you start to piss people off inadvertently. The result of that is you are making customers or other people around you upset. You are like hey I sincerely tried, it was not that I purposely went out and tried to offend you, it’s that I just ran out of time. One of the key things to avoid being this jerk is organize your life and make sure you have time for everything in that week that you scheduled. Jessica: It is interesting how many people over book they. That is one of the greatest things with organization, is it is not just about that physical step, but it helps with relationships and creates a more positive image of yourself when you have your stuff together. Yury: that is something that a lot of entrepreneurs and people who are doing their own business, and running their own schedule. I know that is a struggle for a lot of people. Hiring a virtual assistant can actually minimize that. They look at your schedule unbiasedly without emotion. When you look at your schedule you try to squeeze people in, your VA does not care if you have time for this person or not, they will book in with the time you can afford, and everything else has to be pushed back or scheduled at a different time block. That is what has been helping me, making sure I am not the one doing my schedule, someone else does it for me, it makes things a lot easier. Is that a similar experience you’ve had with that? Jessica: I think having a virtual assistant honestly one of the best things you can do for yourself personally. As far as being a business owner, whether it’s having someone schedule your clients because they don’t have that relationship and they can say sorry, we don’t have time for you today. Being able to get those boundaries whether it’s you, or an assistant, or whoever is handling your schedule is so important. A lot of us are people creatures. It is a matter of not only being people creatures, we don’t want to look bad in our businesses, so we over commit ourselves. Putting that in someone else’s hands is so helpful. Yury: So Jessica, were getting close to time here. I wanted to thank you so much for being on the show today on Soar about success. It has been excellent to have the opportunity to learn more about what you do and how to get more organized as a businessperson as well as my personal life. DO you have any closing comments on something that can be done over the next couple hours to get your business on a better-organized track? Jessica: The first thing you can do to take that next step is putting down three goals around where you want your business to go, and what you would like that organization to look like. Vision is the first place we always start in terms of being able to move forward and get that safe that we want. Thank you so much Yury. it has been awesome being able to chat with you and share these tips. Yury: Thank you so much for being on the show again. In order to get more information on you, where can we find your information? Jessica: I am regularly on Facebook, you can check out my business at toporganizing.com or I do regular scopes on periscope. For those who do not know it is a video version of Twitter. That is a great way to follow me there, or if you need to reach out personally Jessica organizing.com you can email me there anytime. Yury: Great, and we will put all those links at the bottom of the podcast on the podcast page. You can visit wpsoar.com to see all of Jessica’s work and all the links she mentioned during the podcast. Jessica thank you so much for being on the podcast today, it has been an absolute pleasure. I hope we can all become better organized I know I will start to organize my space as soon as we get off this call. Jessica: Thank you so much I am here to be a resource so if you have any questions feel free to reach out.